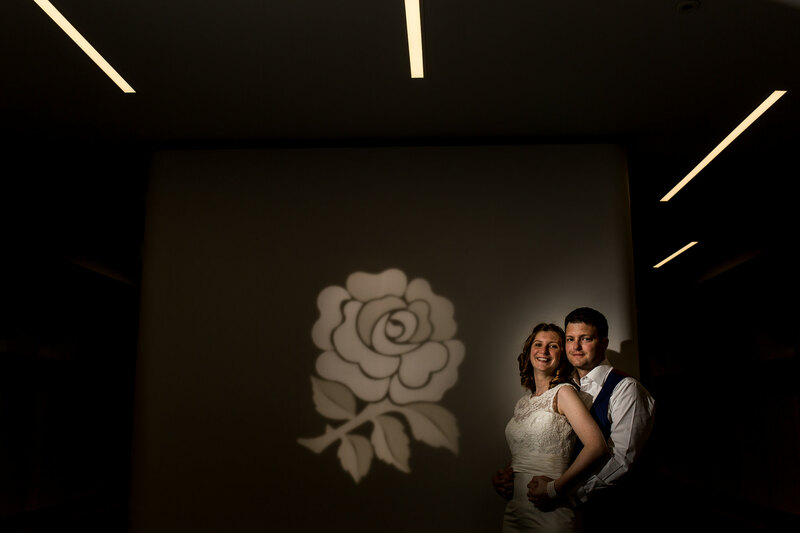 Sally and Oly Wallace who are the biggest rugby fans you might ever meet, got married on the 18th April 2015 and were having the most amazing day of their lives. Unbeknownst to them, it was about to get even better as they had no idea what was in store for them during the speeches. Oly’s brother Ben rightly earned his title of Best Man as he arranged a couple extra special messages for the happy couple. The first message from none other than the incredible England flanker and captain of Wasps, Mr James Haskell. As well as the man with the English Rugby world on his shoulders this year, the wonderful Mr Stuart Lancaster. 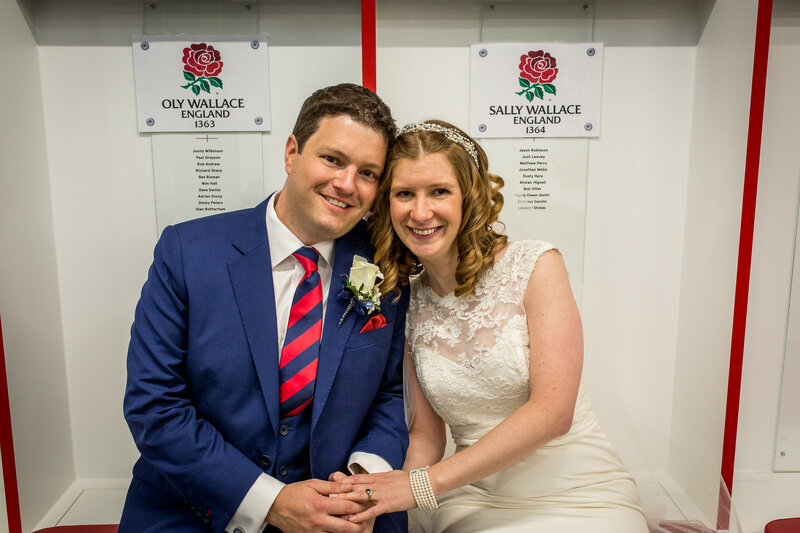 Sally and Oly’s wedding was called The Perfect Match and what’s clear is that not only is it true, but that rugby is the perfect game with a community like no other. Thank you so much to James and Stuart for taking time to wish the happy couple well for the future. 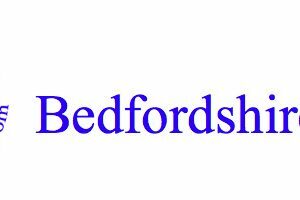 I am sure Sally, Oly and their guests would like to wish you and the English Rugby Team all the best for the World Cup later this year and may the voices of many help carry you home! Swing Low, Sweet Chariot! 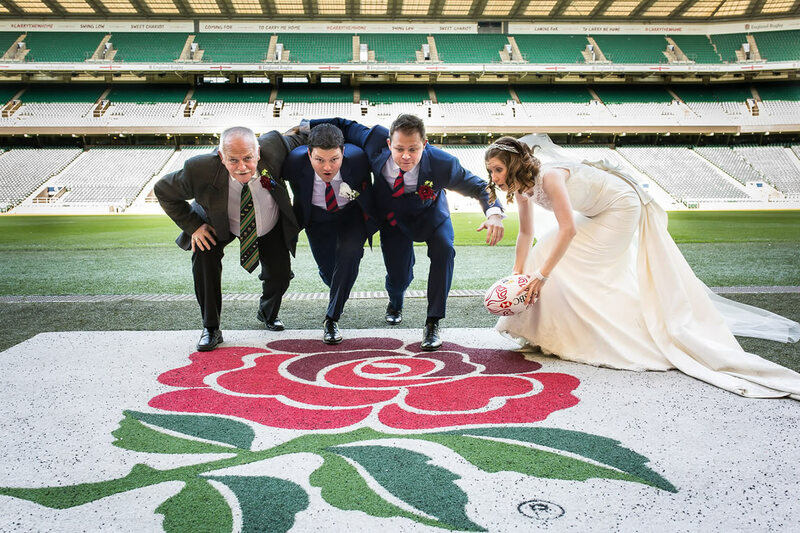 Living and working in Twickenham I’ve just been searching around the Internet looking for great sites, I must say this is fabulous, what a great tribute for a Twickenham rugby fan to have their wedding photographs taken in a scrum – love it!